Hey look! Scott Snyder has his name on a book and Wess is writing about it. As crazy and insane as 'The Forge' was, 'The Casting' kicks it up another notch. We finally get a little peek behind the curtain to find out some of what 'Metal' is all about. What could come across as a jumbled mess of random characters and jumps in story, Snyder and Tynion weave an intriguing story that utilizes each and every character in a very specific way. And while Batman may be headlining this event, it's anything other than another "Bat Story". 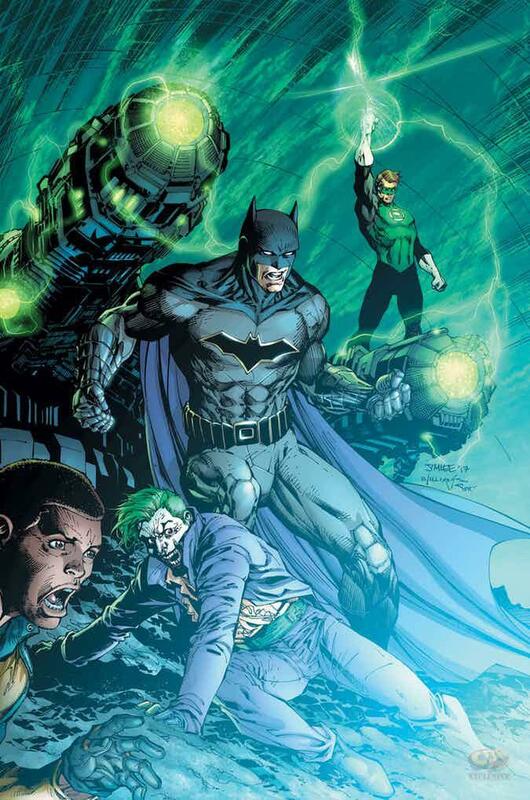 What we get is an expansive story that connects different points from across the DC Universe's history while still opening doors to new roads. We also see tie-ins to Snyder and Tynion's work on Batman over the last 6 years that makes you feel that this was always the plan. We also see Snyder's impressive ability to create new characters that almost instantly seem instrumental and like they have existed for decades, not months. I'm referring here to Duke Thomas. As someone who could have been featured in one sequence during 'Zero Year' and left at that, Duke is being set up to, what seems to be, a major player in the DCU. If you're a DC fan, or a fan of great comics in general, then you need to read 'The Forge' and 'The Casting', while getting ready for the awesomeness of 'Metal' coming in August.